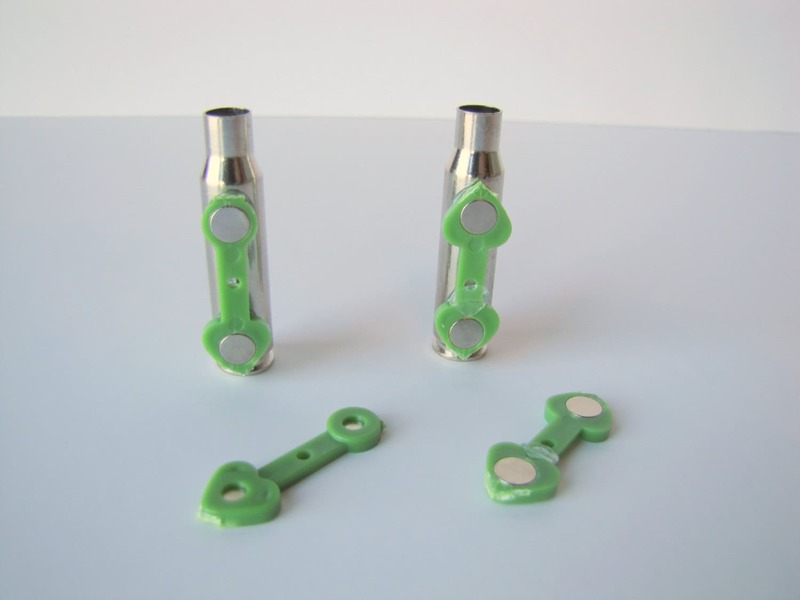 THIS LISTING IS FOR ONE CASING WITH GREEN MAGNETS ATTACHED. 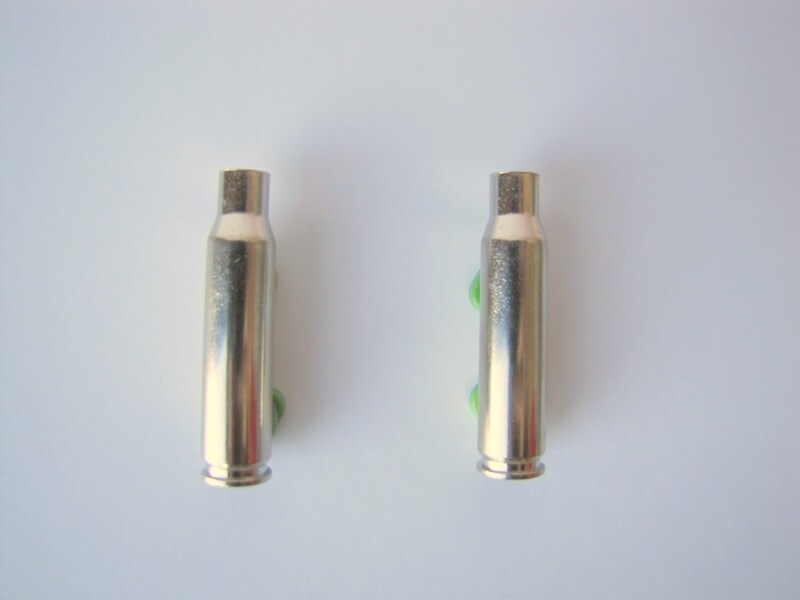 Perfect for those who want the same look as my bullet casing boutonnieres but would prefer to have fresh flowers instead. Give these to your florist to insert your fresh flower boutonniere. 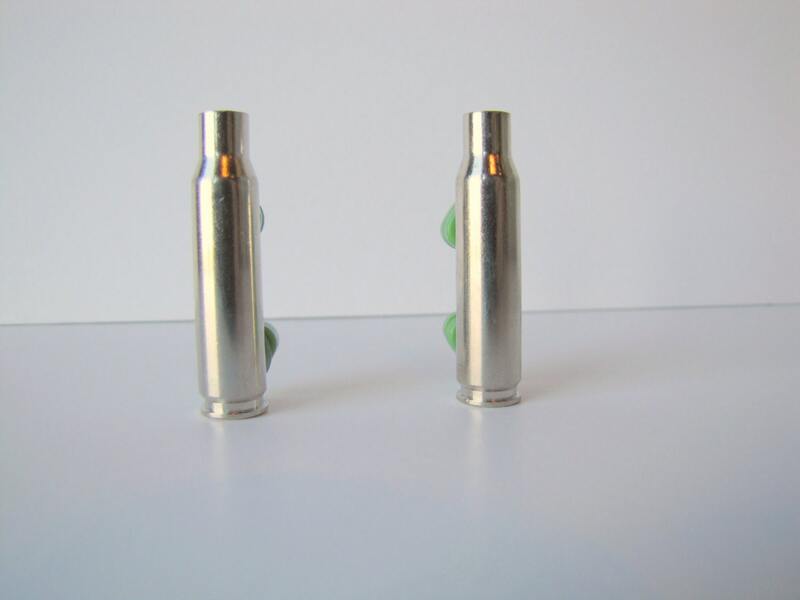 308 brass rifle casings are approximately 2" tall and have a 5/16" opening. This fun idea is perfect for the guy who wants something unique and masculine. 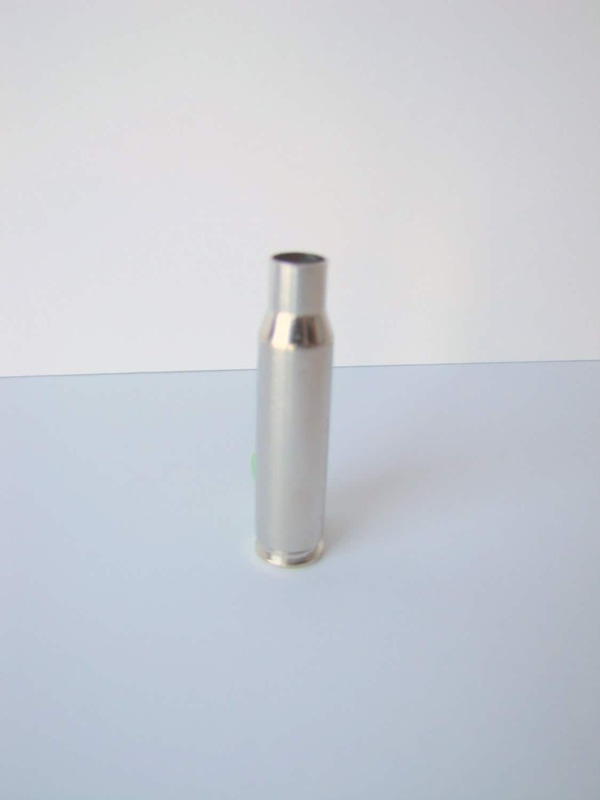 Very popular with military men, police officers and hunters! The green magnets are strong and work best with suite or tux jackets, suspenders and thick clothing. For thin dress shirts, these are best used with an undershirt. Put back magnet piece behind the undershirt to add thickness. Can't wait to use these for the boutonnières for our wedding! Lovely surprise for my "hunter" groom! The magnet is so strong and holds the casing securely. Just what we needed! This is exactly what I was looking for. It arrived quickly and in great condition. Thanks.